Flying Whales is joining a contest that includes defense giant Lockheed Martin Corp. and a clutch of smaller players. 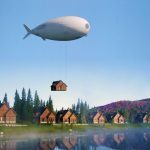 What’s different about the latest project is the combined benefit of the blimp being able to lift an industry-leading 60 tons, but without any requirement for mooring pylons. The company has already secured about € 200 million ($246 million) in capital. It plans an initial public offering in 2021, when a prototype is slated for its first flight. 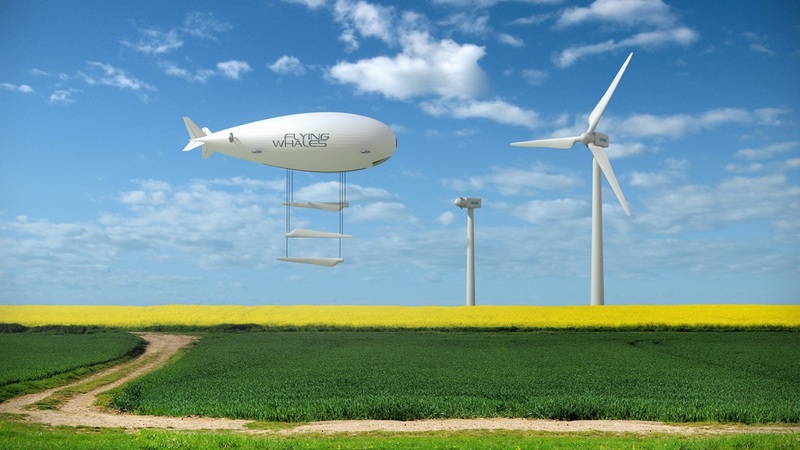 The Flying Whale will be twice as long as a Boeing Co. 747 jumbo jet and have a rigid structure with individual pockets of helium, technically making it an airship rather than a blimp, which relies solely on internal gas pressure. It will be powered by small diesel or electric engines but require minimal power. Bougon estimates likely sales at € 5 billion over 10 years from a fleet of 150 machines built in factories in France and China. Beyond logging, markets could include the transportation of outsize parts and machinery, and companies including rail-industry giant Alstom SA and oil-services provider Technip SA have expressed an interest, according to Bougon. Investors include state fund Bpifrance, which injected € 25 million this month, and AVIC, China’s main producer of warplanes, transport aircraft and helicopters. France’s ONF national forestry office and the Nouvelle Aquitaine region in the southwest of the country are also backing the project. Attempts have been made to revive the airship before, most notably by Cargolifter AG, which failed in 2002 after seeking to develop a craft with a 160-ton payload, leaving a 19 million cubic-foot hangar now used as an amusement park. But Flying Whales isn’t alone in betting that technological advances and the push for greener transport mean that the blimp’s time has come. Lockheed Martin’s LMH-1 is primarily targeting the oil and gas industry, where surface transport can be equally problematic. The defense giant is a step ahead of Flying Whales after winning an order for as many as 12 craft worth $480 million in 2016. 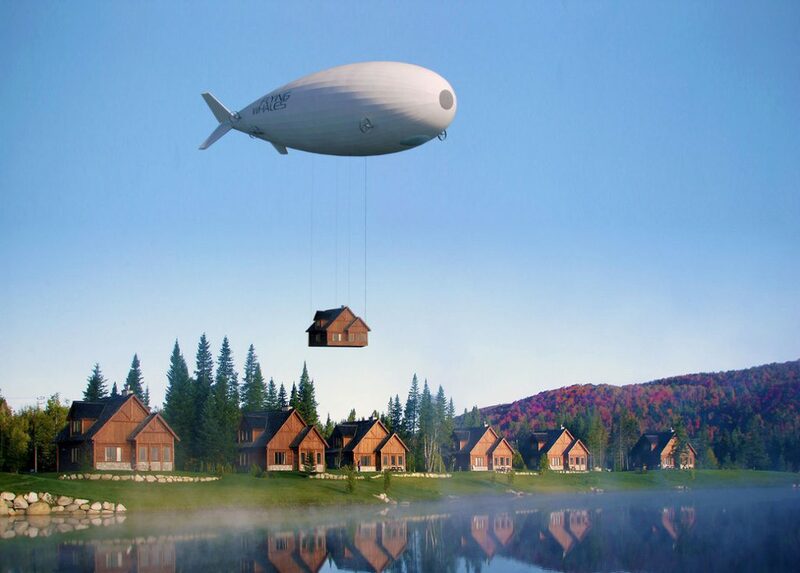 At the same time the model is a true blimp without a frame and is limited to carrying 20 metric tons of freight, though it too can land without the traditional mast. Both the LMH-1 and a model designed by Northrop Grumman Corp. that’s now being developed by Hybrid Air Vehicles Ltd. in the U.K. came out of a failed project to develop a military blimp for surveillance work in Afghanistan. At 300-feet long HAV’s Airlander 10 is currently the world’s largest aircraft. Dubbed the “flying bum” because of an elliptical profile that allows it to gain lift like a conventional plane, the model suffered setbacks in 2016, when it crashed-landed after mooring lines became caught in telegraph wires, and again last year after breaking free of its mooring mast in windy conditions. While the rigid Flying Whales design allows a bigger payload to be carried, or slung beneath the airship, the elimination of the need to land also makes it safer, according to Bougon, who said the craft could easily transformed into a pilot-less drone. Current plans envisage keeping at least two people on board for security reasons, however. The lingering legacy of the 1937 Hindenburg disaster, which saw 36 people killed when the 800-foot Zeppelin crashed in a ball of flames at Lakehurst naval station, New Jersey, may be as big an obstacle to the return of the airship as pure economics, Bougon admits. This entry was posted in Airships, Dirigible, Rigid airship and tagged Airlander, airship, CargoLifter, Flying Whales, Hybrid Air Vehicles Ltd., LMH-1, Lockheed Martin, ridgid airship. Bookmark the permalink.